With the release next month of Harry Potter and the Deathly Hallows - Part 2, the Harry Potter movie series will be at an end. To celebrate that bittersweet event, I am adding one final paper model to my Death Eater mask series. As usual, the download includes both full size and half size templates for the mask. 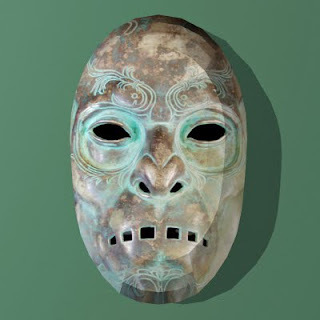 Links to the previous eight Death Eater mask are located in the column at the right of the page. Thanks to everyone who has supported the mask series since I began in 2009. I am so impressed by the paper modeling work of Fabrizio Prudenziati that I decided to do a second post about his work! My first post featured his paper models of historic soldiers. 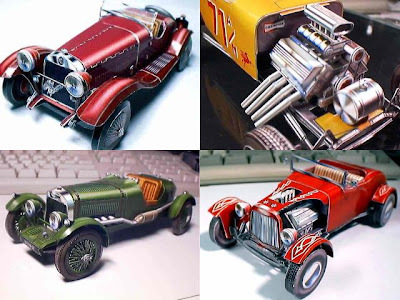 For this post I want to highlight his automobile papercraft. Each of the highly detailed models above are at 1:24 scale. From the upper left going clockwise, pictured above are an Alpha Romeo, two American hot rod roadsters, and an Aston Martin. Each of these paper models is available here. It is tough to find a quality paper model creator with the shear number of designs as Italian designer Fabrizio Prudenziati. Pictured above is a sampling of his eighty different paper models of historic soldiers available for download. 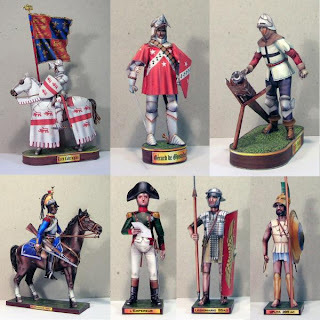 Prudenziati's collection includes models of Medieval, Napoleonic, and Ancient soldiers, each at 90mm scale. Igrandtheftauto.com has the self-confessed goal of becoming the ultimate resource for all things to do with the Grand Theft Auto series of video games. 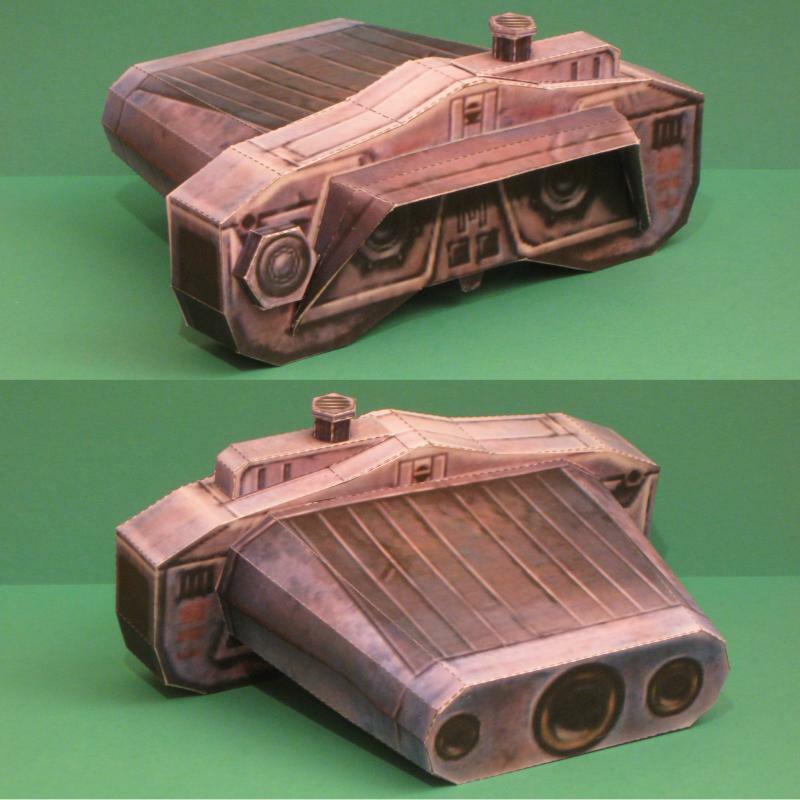 They just might be the ultimate resource for GTA papercraft as well! Pictured above are four of eighteen different paper models based on the Grand Theft Auto: Chinatown Wars video game. 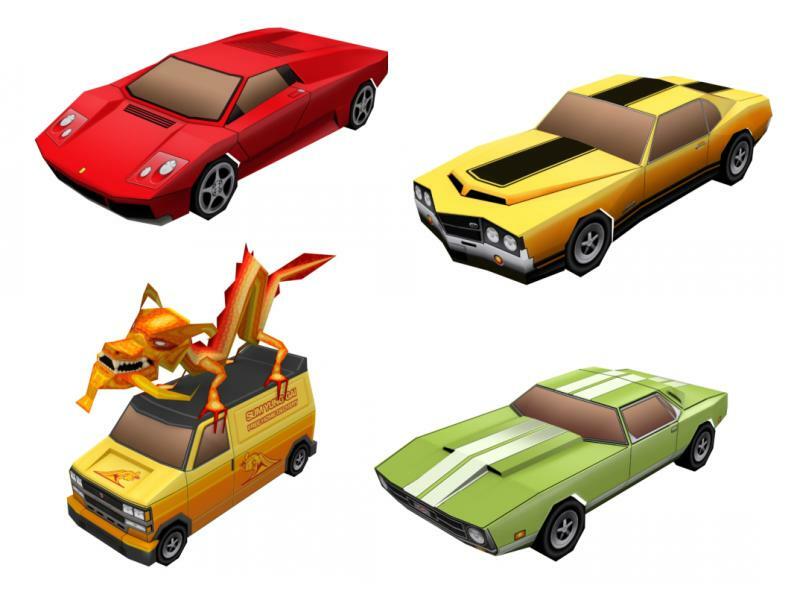 Clockwise from the upper left corner are models of the Infernus, the Sabre GT, the Stallion, and my personal favorite, the Sum Yung Gai Noodle Van. The selection of GTA papercraft available includes not only cars but display stands for the cars, a dragon costume, character models, and weapon models. Check them all out here. In years past, I saw a toy television that made use of a scrolling screen to tell a story. Now, thanks to Stanislov Stankovic, you can watch movies on your own DIY paper toy TV. 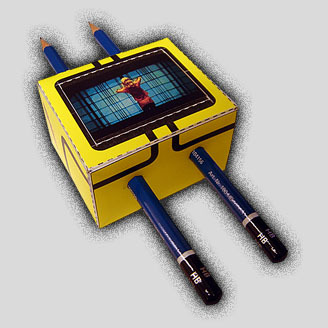 Inside the TV is a long strip of paper coiled around two pencils. As the pencils are rotated, movie scenes on the strip of paper parade by in chronological order on the "screen" of the TV. Currently, three different movies/TVs are available for download: Dirty Harry, Kill Bill (vol. 1), and Dr. Stranglelove. Stankoic also offers a blank template so you can create your own movies. All the TV paper toy fun can be downloaded here. Hover Car Racer is a free online novel that follows the exploits of a talented young racer named Jason Chaser who owns a hover car called Argonaut. 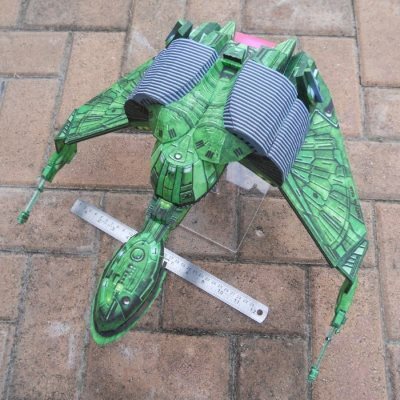 This papercraft model of the Argonaut is based on a plastic model built by the writer of the novel, Matthew Reilly. Reilly created his original model by combining model kits of a Formula 1 race car and a fighter jet. The template for the hover car paper model may be downloaded here. 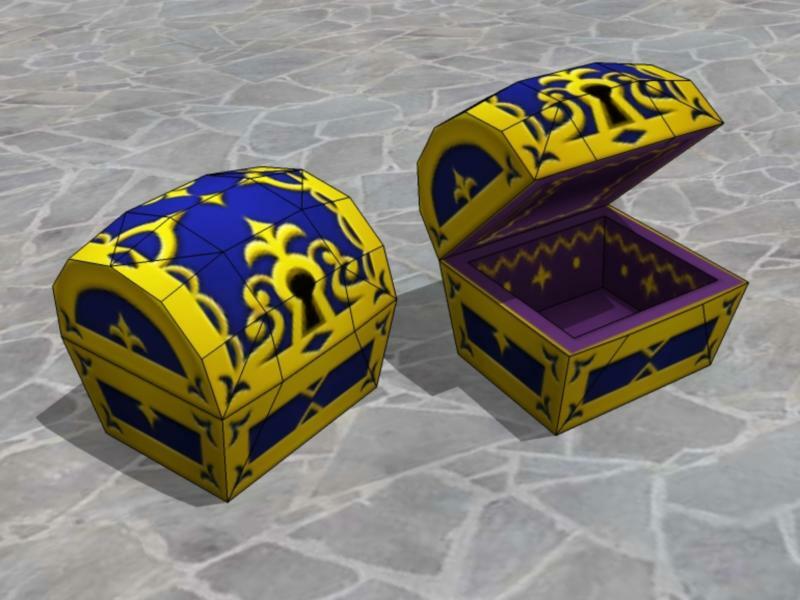 This papercraft treasure chest is based on a 3D model of a chest located in the Disney Castle area of the Kingdom Hearts 2 video game. My KH2 treasure chest offering for the month of June, this chest is the fifth to be released in my ongoing series. Unlike most of the other treasure chests, this chest has decorations on the inside. A download of the template for the chest is available here. 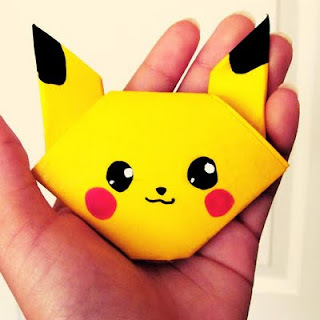 DeviantART member Kabateru-chan did a great job transforming a simple origami bunny into a cute pikachu head by making use of yellow construction paper, black and red markers and whiteout. 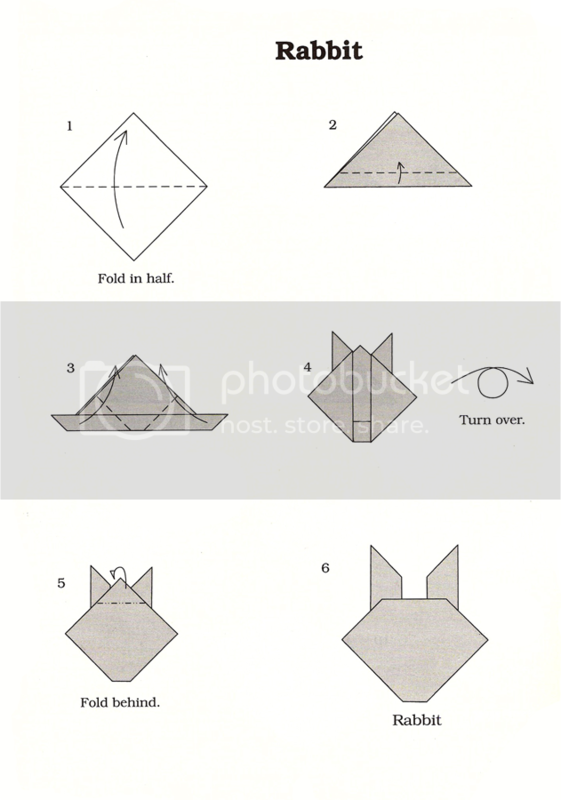 Folding instructions for the original origami rabbit she used are available here. Woolly mammoths are thought to have become extinct around 10,000 years ago, however from time to time, frozen remains of the creatures are discovered in Siberia. 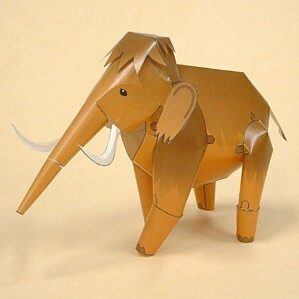 This easy-to-build mammoth paper model is offered by the Mochizuki Printing Co as a free download. The printable template has a total of twelve parts. 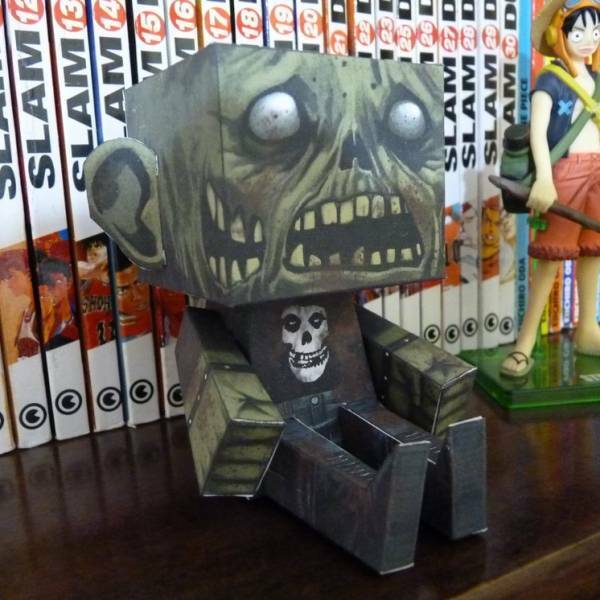 Brazilian artists Victor Negreiro and Julio Cesar collaborated to create this nifty zombie paper toy. This blood splattered little fellow has the classic features of rotting flesh and an exposed brain we have all come to expect from zombies. 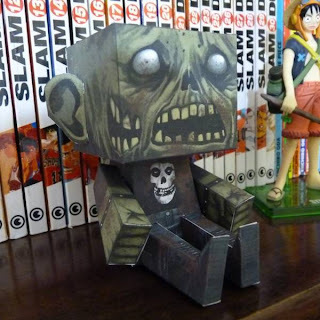 ^^ The template for this paper toy may be downloaded from Negreiro's page here (build photo by Victor Vieira). 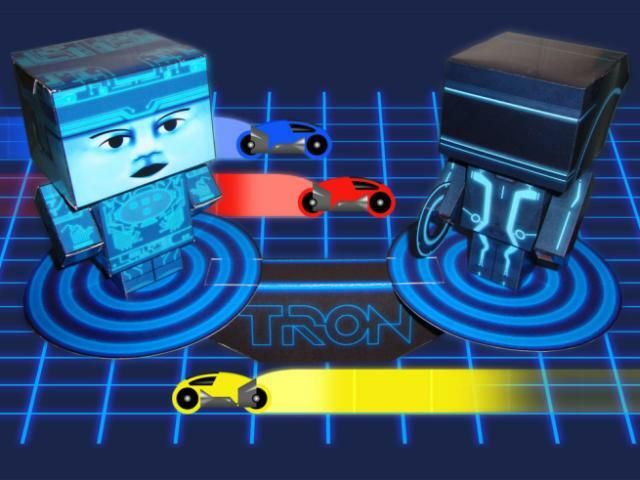 DeviantARTist Randyfivesix has added to his collection of Tron Cubee paper toys. In addition to his original Tron Legacy paper toy, he has created an old school style Tron Cubee and a "game grid" display stand. All the paper Tron goodness may be downloaded here and here and here. "...hand held imaging devices used to view objects from a considerable distance. The sophisticated device displays images with an overlay of computerized information detailing the object's distance, relative and true azimuths, and elevation." The 1986 Studio Ghibli animated movie Castle in the Sky has some really unique looking robot soldiers. 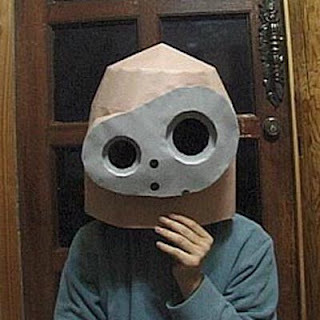 A Japanese fan created this large, helmet-like mask based on the look of the robots in the film. Although the mask in the photo was built with regular paper, building with cardstock would undoubtedly help the finished product be more sturdy and have a more definite shape. The template for the Laputa robot mask may be downloaded here. The download is in a zipped .lzh format which may be opened with 7-Zip open source software, among other things. The Japanese website, "Paper Stucture", offers some nice free samples of their N Scale (1:150) paper model products. Pictured above is an office building, a clothing store and a jeans store. Other free samples available include shipping containers, vending machines, and a monorail. Click on the links underneath the photos here to download the PDF templates.